AfghanWatch: The Rest of Us are Equally Capable! The Rest of Us are Equally Capable! When I was invited to speak on women's rights violations in Afghanistan at an international conference in Europe, I wanted to say the below to everyone who is involved in anything of such nature. Even thought I have no problem with speaking on women's issues and the violations of their rights, on behalf of all Afghan women, I want to be clear that we can speak on other topics as well such as economy, the country's social structure, governance, peace and security, defense, foreign policy and international relations, etc. Afghan women can understand and speak on other issues concerning Afghanistan as well except our own rights that men should also be speaking of and be able to understand and defend. "Women's and children's rights" should not be made a gender-specific topic only suitable for females to talk about. Women should not be used as a symbolic representation of their gender in conferences, workshops and seminars by allotting them only specific topics and reinforcing the idea that women are not capable of speaking on other issues. This everything does not only happen in Afghanistan but also in the "heart of Europe". 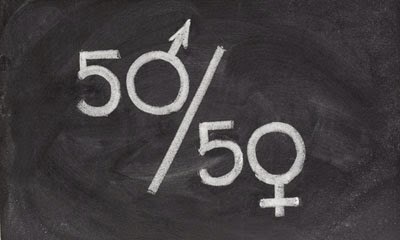 Unless people change their attitude towards women in general and accept them as equals and capable of understanding and solving various issues faced by all humans and unless the women leaders refuse to be constrained and limited to a certain discourse, their rights will be violated no matter how many times they count figures and facts of violations of the rights of their kind through speeches and debates.